When developing a confocal system whether it’s laser scanning, TIRF, laser sheet microscopy, or any other imaging technique, the laser source is the most critical element in your imaging system. Having a stable, reliable and easy to use light source makes focusing on your imaging techniques and data collection the only items you have to worry about. - Versalase Laser Combiner: multi-wavelength and highly stable platform that is pre-aligned to a collinear beam or can be spatially separated depending on the application. The single interface and ease of control along with the reliable beam output make it the perfect solution for a multi-channel system to reduce the cost of aligning various individual lasers during manufacturing. 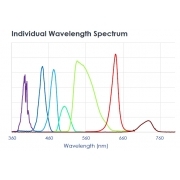 - Stradus Laser Modules: with the wavelength flexibility of UV through the visible to the near IR, is the flexible platform to easily integrate multiple illumination wavelengths with the knowledge of a stable, reliable and low optical noise source for reliable fluorescence signal detection. 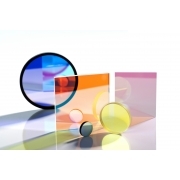 - Sets of Fluorescence filters (ALLUXA): the steepest and narrowest filters of the market. For more details about the PCO FLIM Camera and the fundamentals of Frequency Domain FLIM technology, click in this video.